King & Company in Marlborugh, NH, USA are a millwork company established in 1986. 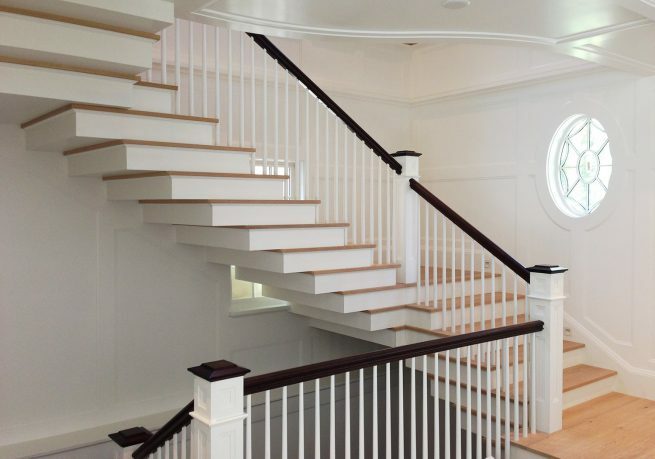 They are specialized in the high end custom stairs that grace some of New England’s most prestigious homes. Their 3axis and 5axis machines are controlled by a full CAM package from Staircon. – We use Staircon for stair design, shop cutlist, cnc program and cnc machining. It is a great asset to be able to route newels, drill hole for balusters in handrails and send all parts to the cnc from the software with minimal programming time. The 3D model allows all parties to have a detailed visual understanding of the product as well as the parametric capacity which allows for quick updates with changes. This saves a tremendous amount of time over updating 2D drawings. We have had great support from Sytse Leenders in Canada and his patient teachings of the software as well as from the support team in Sweden. They have made all efforts to see that we are successfully implementing Staircon into our business. Sytse continues to be a great asset long after the sales, says Robert C. King, co-owner at King & Company.